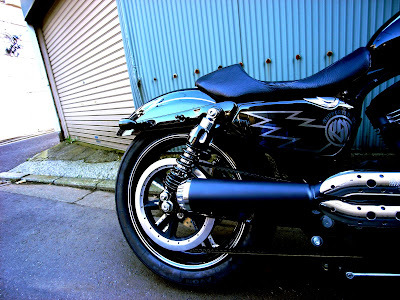 Yone, and the team at Bull Original Inc. is really pushing the RSD brand in Japan and we are stoked to work with them. They’re going to be building some sportsters for sale to the Japanese market using the RSD products and some tricks of their own. Check out this fine example of where a sporty can go. Check their website for more info on Bull and if you live in japan hit them up for RSD products and maybe even a bike build.